As fall is almost over, here on the Alberta prairies I decided that I needed a little break from a windowless office, and go for a little ride. Didn't have to go far. Found this little side road from the main gravel road, and ventured in. 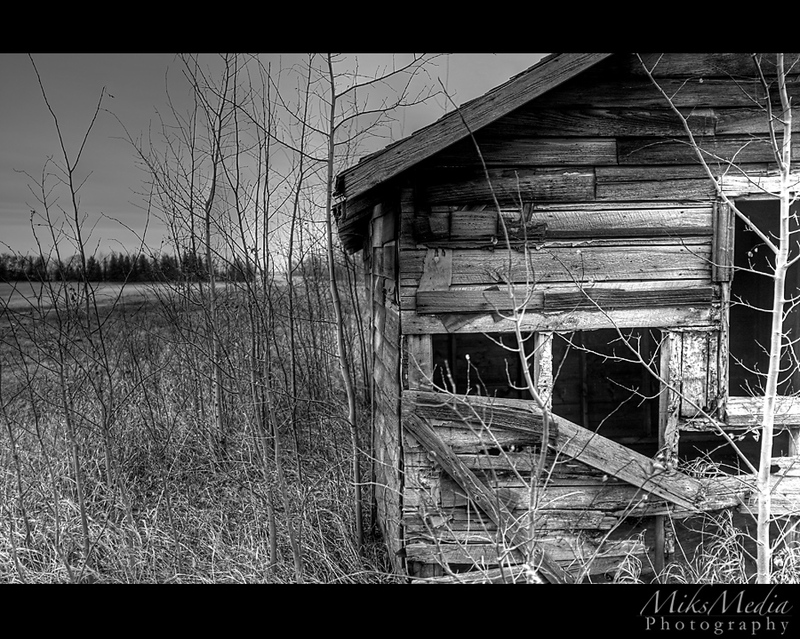 Almost right away, I found a couple of old farm buildings. I stopped and spent maybe 15-20 minutes walking around. Since there are no colours to be seen right now, and sun was hiding behind heavy clouds, I decided to make these b&w. Enjoy.